Improve your game day experience with these 5 essentials you MUST have at any sporting event. There are some things I can’t go without and these 5 make the short list. Have you entered my clear purse giveaway? In honor of my birthday and football season, I am giving away my favorite stadium-approved bag! Just go to my Instagram, follow me and @HunterHartPhoto, like the photo, tag 3 friends and tell me which team you cheer for and you could snag this bag! The winner will be announced on Wednesday, October 3 via IG. I had the best time with friends and fam this weekend celebrating my birthday! It was a 16 hour round trip from Greenville to Starkville, but it was worth every minute! There are some things that money just can’t buy, and for those things…you drive all night. I am so thankful for the people God has given me over my 23 years and I can’t wait to see what 24 has in store! Thanks for all the birthday wishes. Side note: WOW! 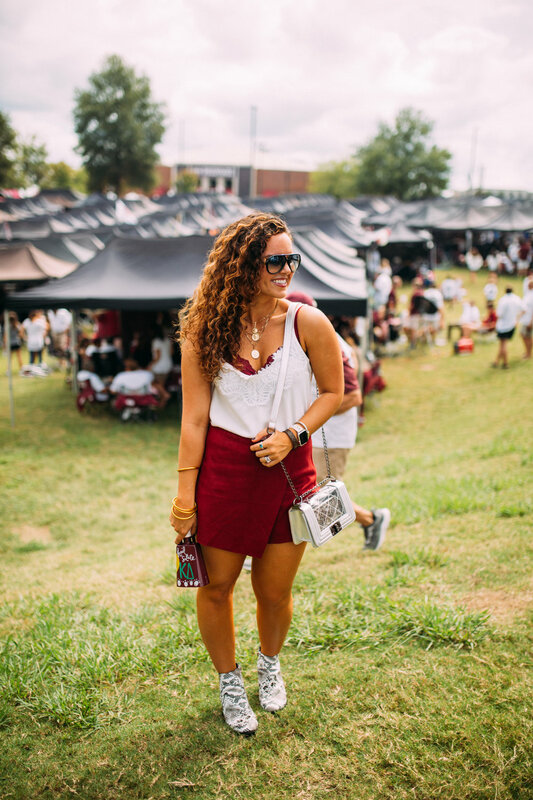 While I was in Starkville, I met several of you who have been following my blog and it really was such an encouragement to know that you are reading it and enjoying the content. It makes all the time I spend on it really meaningful when I hear from y’all. So thank you for reaching out and saying hi when you see me. It truly means more than you know!